Simon Ingram is a journalist and author. He has written dozens of features for award-winning national magazines, newspapers and websites. 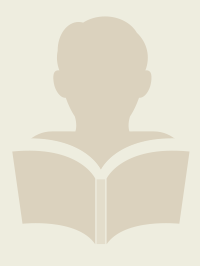 Specific areas of interest include adventure journalism, travel, nature, mountaineering and film. Simon's work has appeared in Trail Magazine, Country Walking Magazine, Empire, The Ernest Journal, The Independent, The Sunday Times and The Guardian, and he was one of the launch contributors of Outdoor Fitness Magazine. His photographs have been used extensively in editorial reportage and on the cover of national publications. 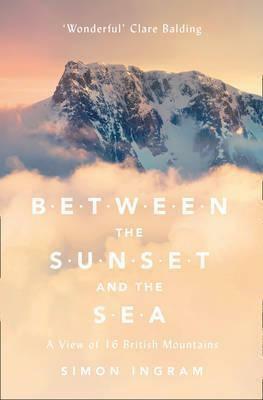 He is the author of the critically-acclaimed debut Between the Sunset and the Sea (HarperCollins, 2015) - an exploration of the British mountains and their enduring fascination. A Mountain Leader trainee, he has climbed mountains throughout the UK, and also the High Atlas of Morocco, Arctic Norway, the French, German and Italian Alps, Slovenia, the Balkans and East Africa. He is currently the Editor of Trail Magazine (The UK's Best Selling Hillwalking Magazine and PPA Magazine of the Year 2005) and www.livefortheoutdoors.com. He lives in Stamford, Lincolnshire. Simon Ingram takes us high into Britainâ€™s most forbidding and astonishing wild places through all the seasons of the year â€“ from the first blush of spring to the darkest bite of the mountain winter. In the late 18th century, mountains shifted from being universally reviled to becoming the most inspiring things on earth. Simply put, the monsters became muses â€“ and an entire artistic movement was born. This movement became a love affair, the love affair became an obsession, and gradually but surely, obsession became lifestyle as mountains became stitched into the fabric of the British cultural tapestry. In his compelling new book, Simon Ingram explores how mountains became such a preoccupation for the modern western imagination, weaving his own adventures into a powerful narrative which provides a kind of experiential hit list for people who donâ€™t have the time nor the will to climb a thousand mountains. For some of these mountains, the most amazing thing about them might be the journey theyâ€™ve taken to get here. Others, the tales of science, endeavour and art that have played out on their slopes. The mythology theyâ€™re drenched in. The history theyâ€™ve seen. The genius theyâ€™ve inspired. The danger that draws people to them. The life that clusters around them, human and otherwise. The extreme weather they conjure. The adventure they fuel. The way that some raise the hairs on the back of your neck, and trigger powerful, strange emotions. And moreover, what theyâ€™re like to be amidst, under, on â€“ just what that indefinable quality is that the British mountains wield which takes possession of you so powerfully, and never goes away. From Beinn Dearg to Ben Nevis, Ingram takes us on a journey spanning sixteen of Britainâ€™s most evocative mountainous landscapes, and what they mean to us today.